Listen Up Philip is drastically unfocused, devoting segments of the runtime to individual characters in turn while losing sight of the bigger picture. Characters’ thoughts and feelings are revealed via a stupendously lazy and almost incessant narration, and Perry pointlessly employs irritating handheld camerawork. Worse than this stylistic excess is disturbing treatment of the female characters. Only women are shown to feel emotional pain, and Moss and Ritter are shot in invasively tight close-ups not used to frame the male characters. The inequality soars in a gratuitous montage of Moss lounging in various vests and off-the-shoulder tops. 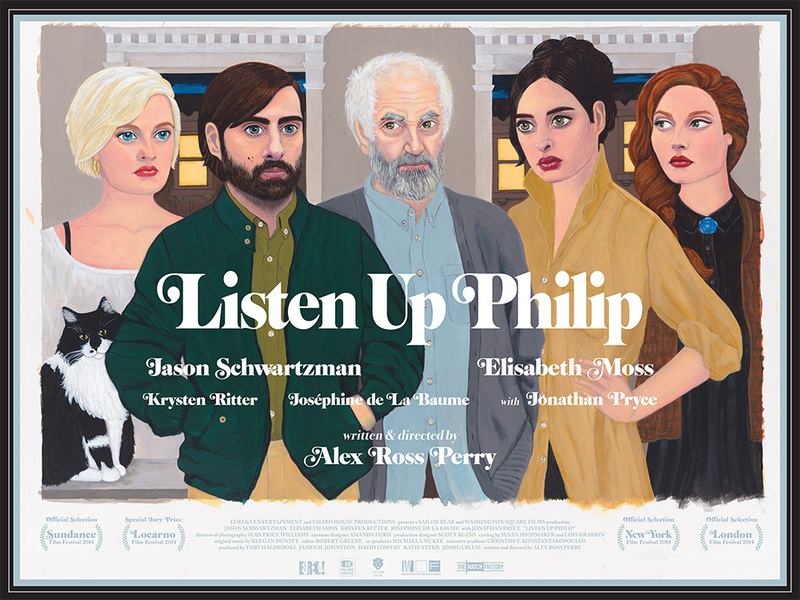 Alex Ross Perry’s direction is just as stubborn and self-confident as his titular character. And like Philip, Perry pushes things to a fault. This entry was posted in Film Reviews, Mini-reviews and tagged Alex Ross Perry, Elisabeth Moss, Eric Bogosian, Jason Schwartzman, Jonathan Pryce, Josephine de La Baume, Krysten Ritter, Listen Up Philip. Bookmark the permalink.